With the SI FX palette you can simulate any injury or illness imaginable, from 1st, 2nd & 3rd degree burns to cuts and scrapes, from scabs to different levels of bruising. 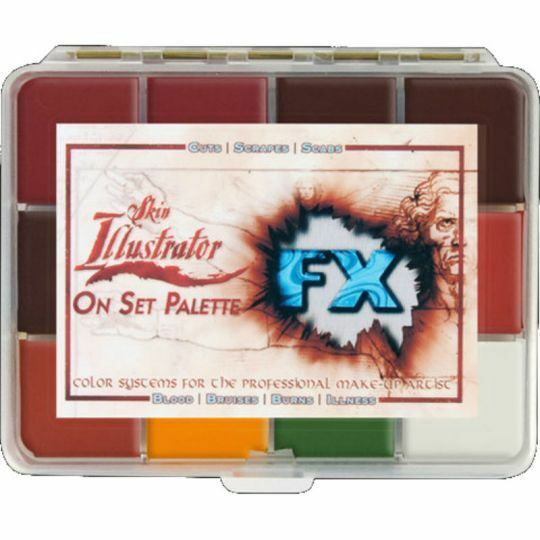 The FX Palette seamlessly integrates with the Skin Illustrator Flesh Tone Palette to create varying degrees of injuries and illnesses. 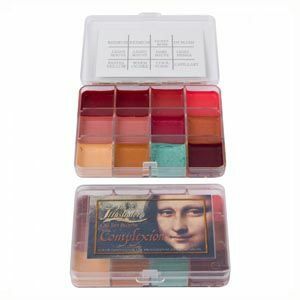 The pigment content is much higher than any other palette available so the colours go farther and last longer. Blood Tone was created specifically to aid the artist in the struggle of feature film continuity and syrup based bloods. 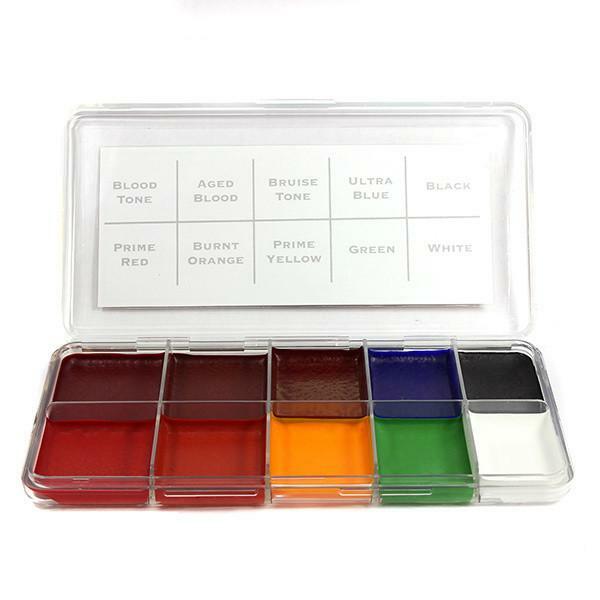 It is a realistic natural blood colour that can easily be altered to a deeper, more theatrical colour blood with the addition of Ultra Blue. Conventional bloods will wear or flake away after your actor has left the chair, but with a stand alone application of Blood Tone plus a topical application of KY Jelly, your blood work will look good all day without rubbing off or staining the actor’s costume. When working with the Blood Tone, a thin application of KY provides a nice sheen, while a large dollop gives the appearance of dripping blood. The durability of the Blood Tone colour allows you the freedom to place your blood in the morning, allow it to dry, and then instantly freshen it to camera-ready quality whenever your actor is actually called to set – even if it’s hours later. 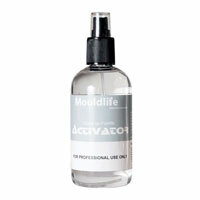 Blood Tone also works exceptionally well as an abrasion-resistant undercolour with syrup based bloods. If the conventional blood washes or wears away in a wet scene, the Blood Tone will still be there. Either way – you’re covered! Mixing certain colours will not create similar tones, already present in the palette. Mixing the Yellow and the Blue will produce a different green than the Green that is in the palette. The Aged Blood is a mid-ground aged blood which is not too blue or purple.